Halina Poswiatowska is today considered to have been the first Polish woman poet to speak so openly about the sensual side of love. Indeed, throughout her entire oeuvre, eroticism and death are inextricably entwined. Enough clues have remained pertaining to Poswiatowska's personal life to allow us to treat the intense experiences described in her poems as autobiographical. 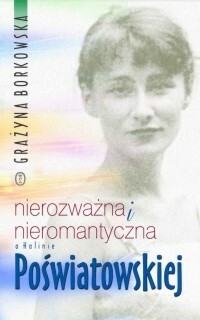 Indeed, Grazyna Borkowska criticizes earlier scholars and biographers for the fact that, hypnotized by the writer's biography, they have been more concerned with Poswiatowska's personal fate than with her exceptional and under-appreciated artistic work. Having given this warning, however, she proceeds to base a large part of her own argument on a new interpretation of Poswiatowska's biography. Her point of departure is the conviction that the most under-recognized source not only of Poswiatowska's creative activity, but also of her strong eroticism, is the poet's mother, Stanislawa Mygowa. In presenting the strong ties between mother and daughter, the author draws on both feminist theory and classical psychoanalysis, in order to shed light on what she calls an exceptional situation, and one which has until now been entirely overlooked by scholars.